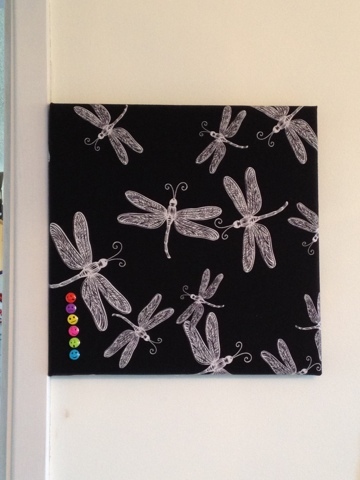 This is my new bulletin board beside my sewing room door. 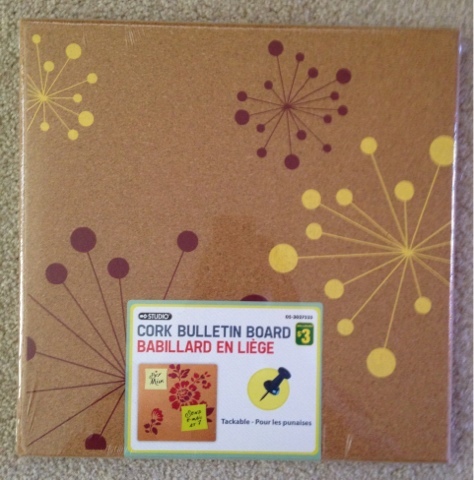 Usually I have scraps of paper taped to the wall & door with green painter's tape with lists & reminders, etc., but yesterday I was at Dollarama and saw these Cork Bulletin Boards which are approximately 11.5" square. 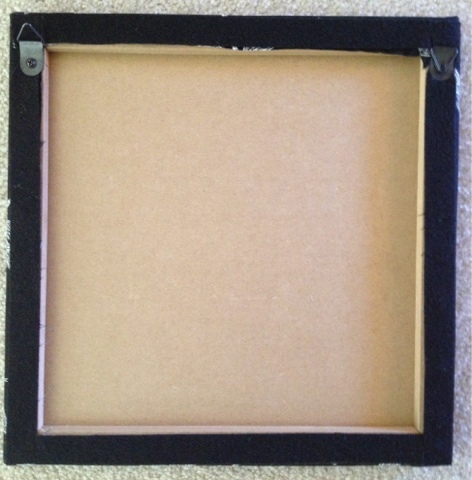 They already have two hangers attached with screws on the back which can be removed and then re-attached after covering the bulletin board with fabric (stapled it) and adding a felt bumper (glued it) on the back over the staples so the wall doesn't get scratched.